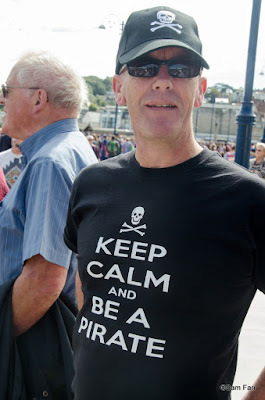 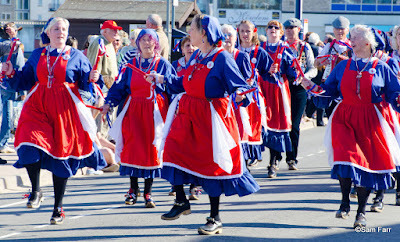 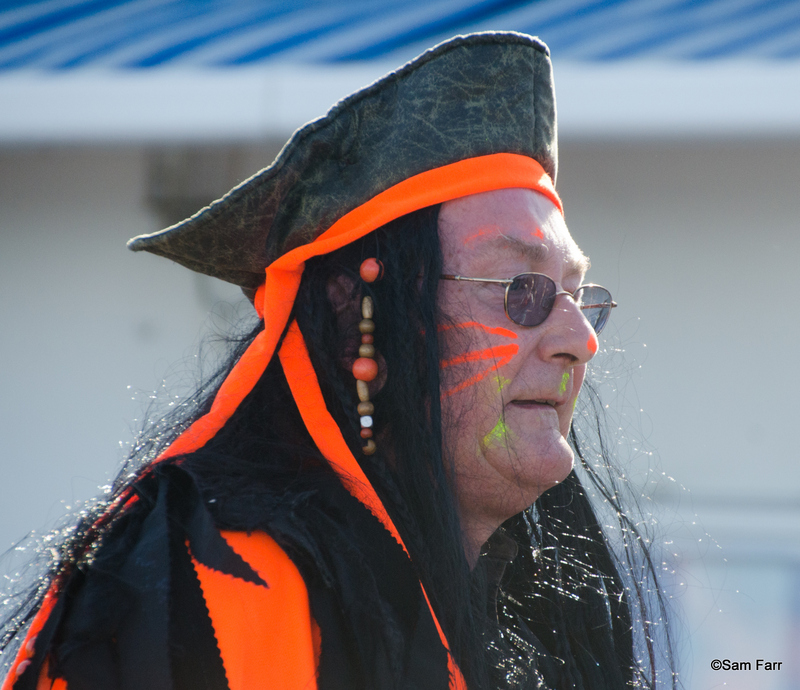 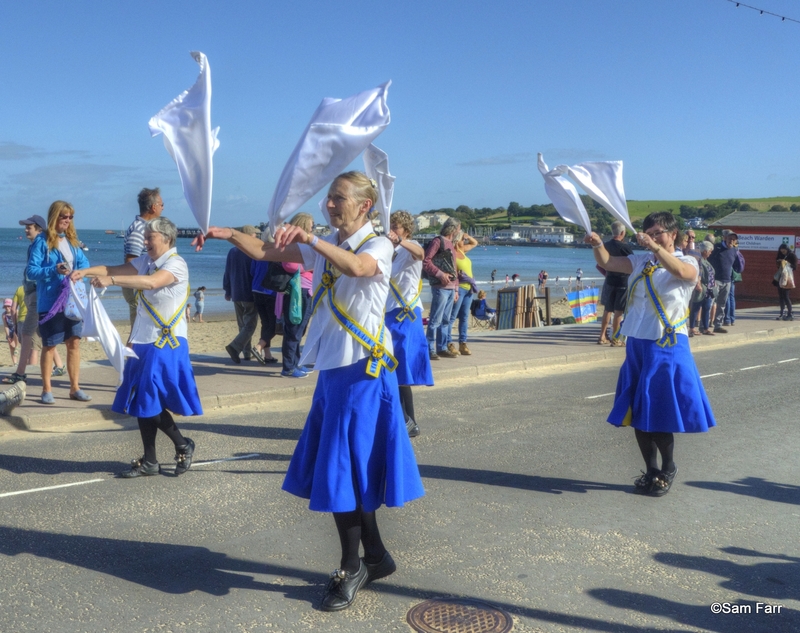 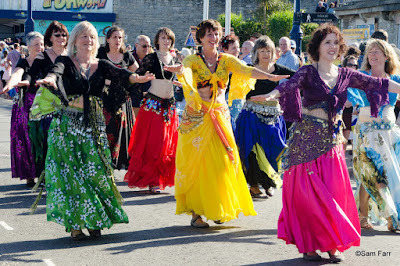 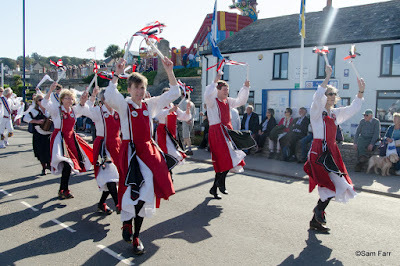 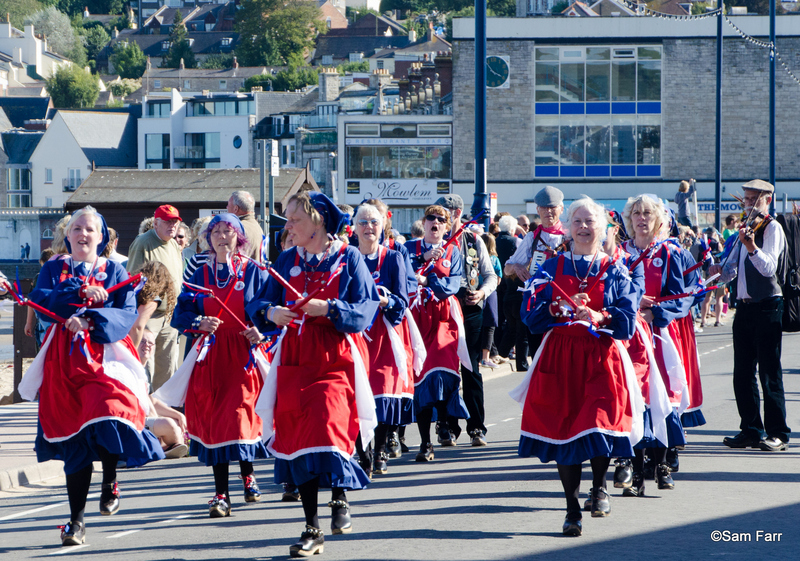 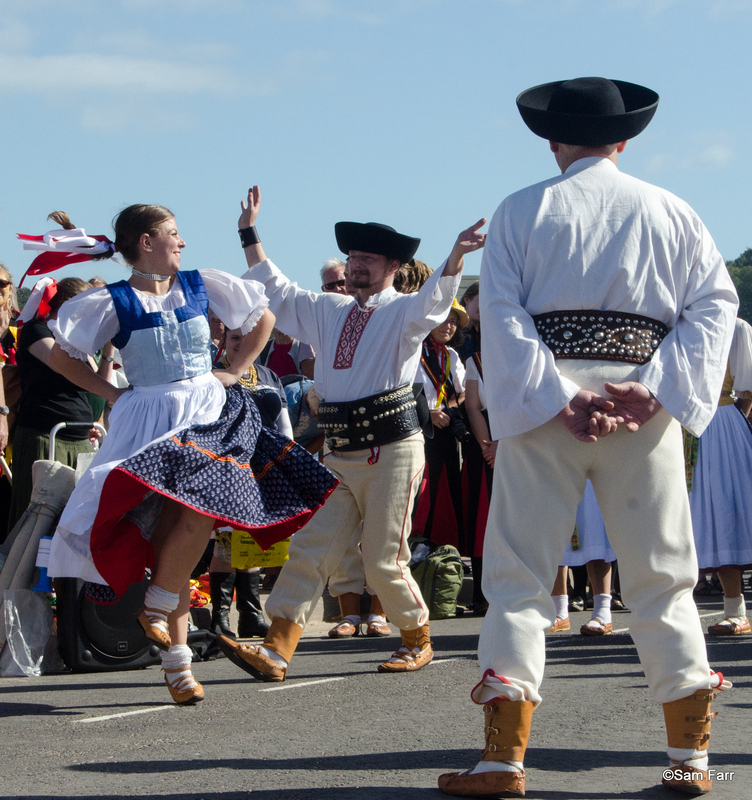 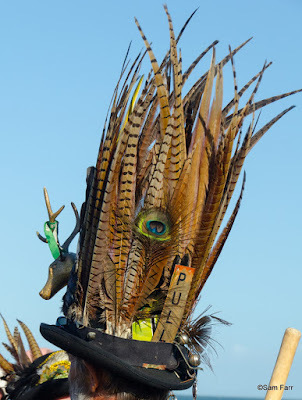 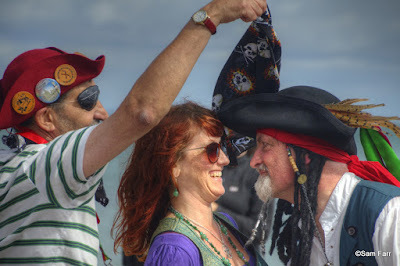 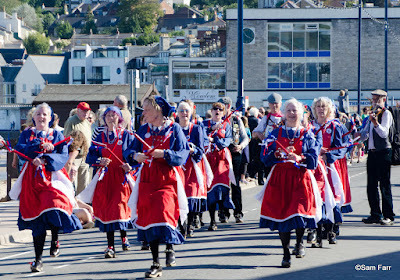 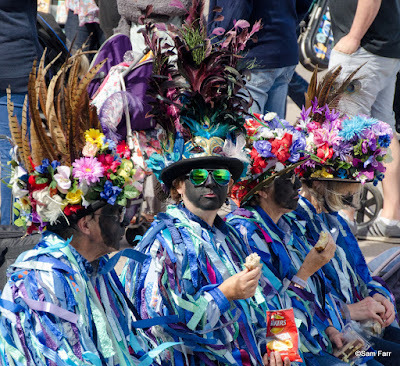 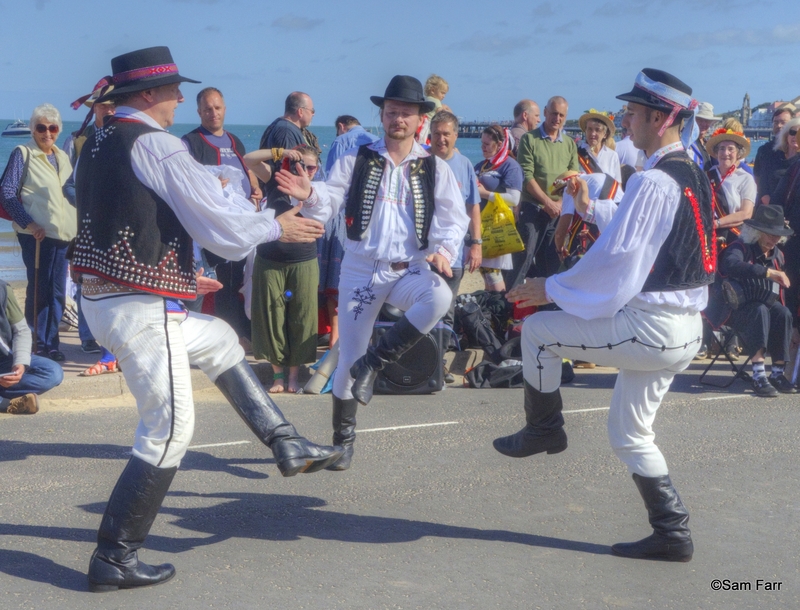 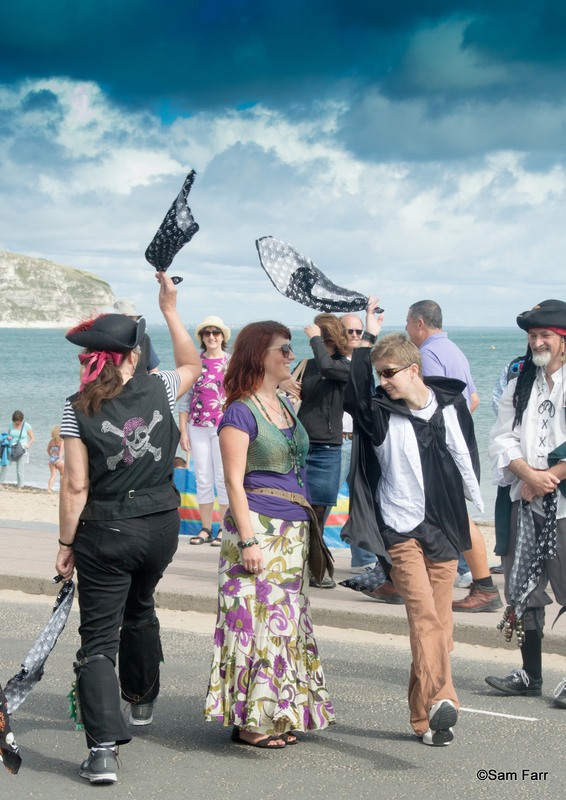 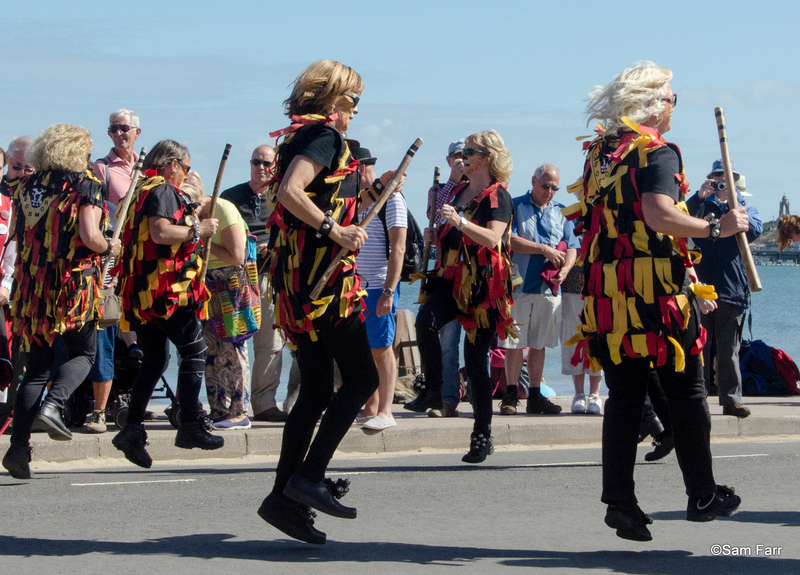 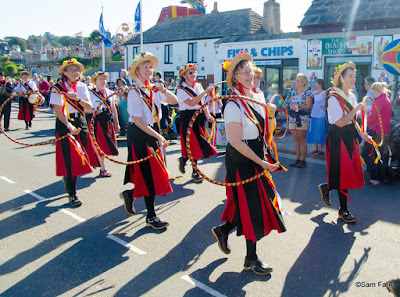 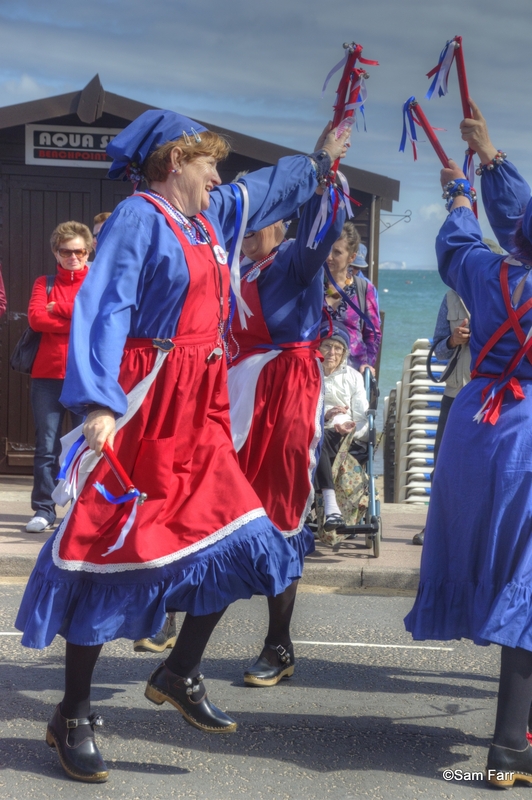 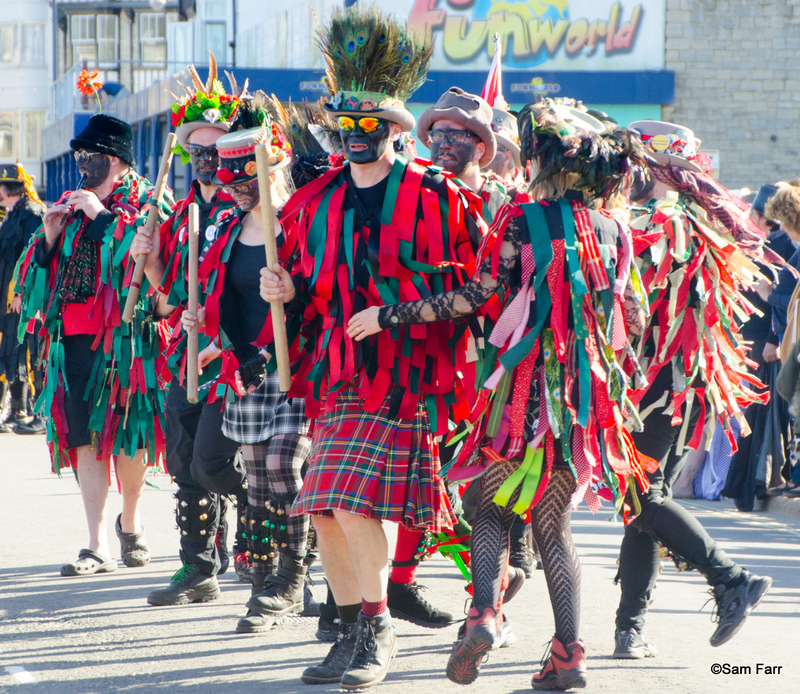 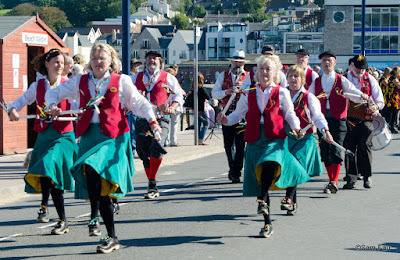 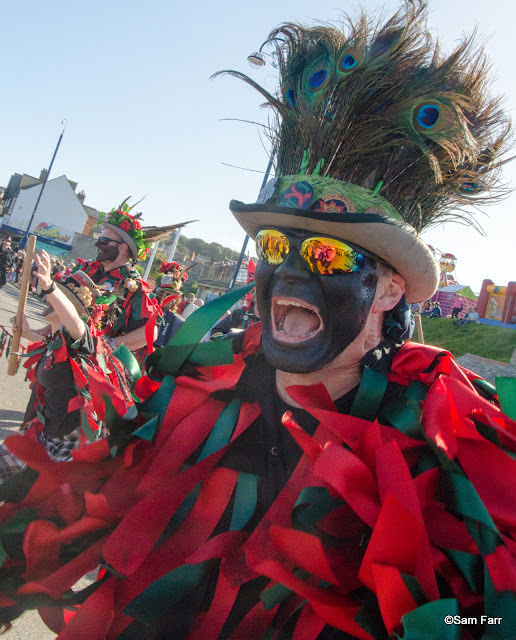 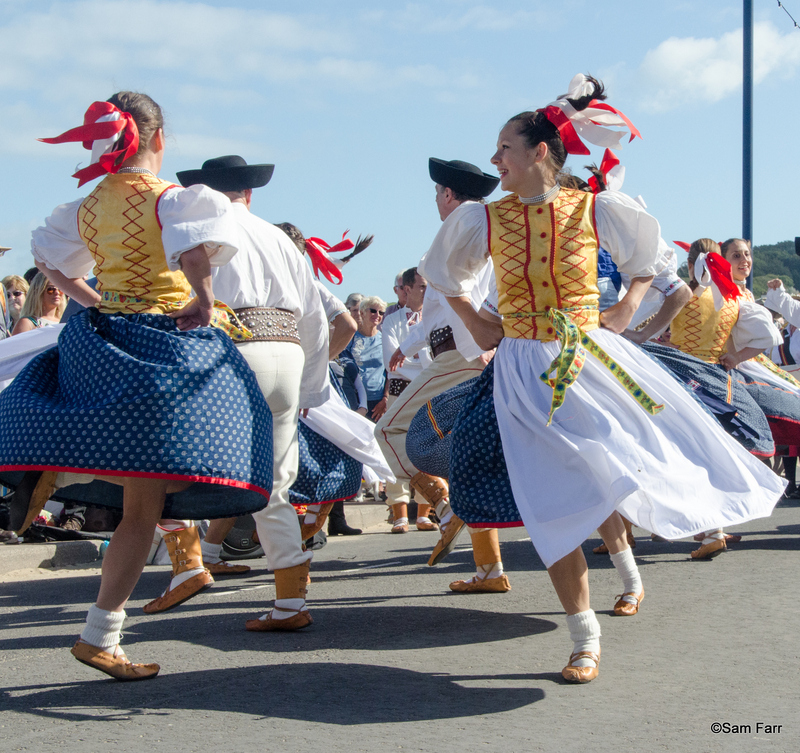 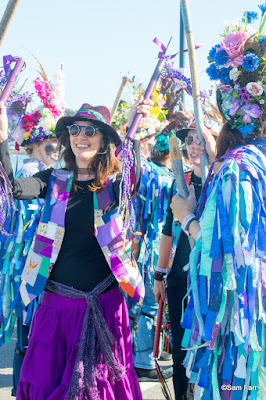 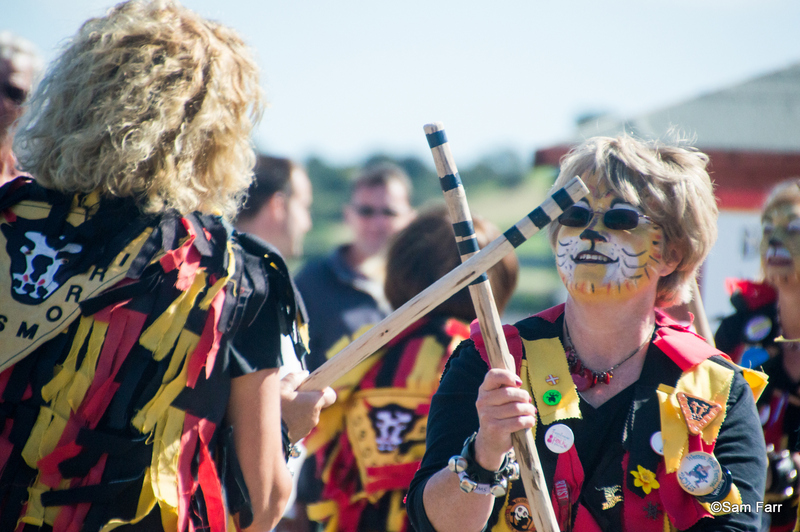 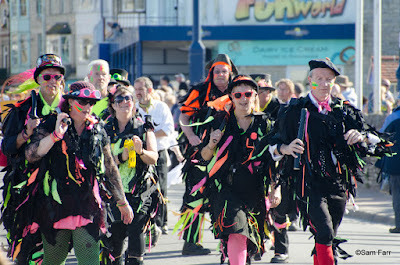 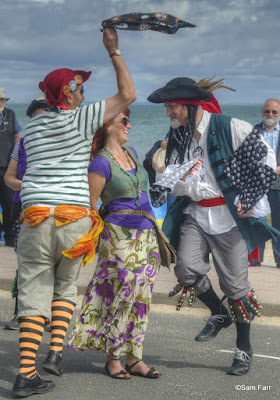 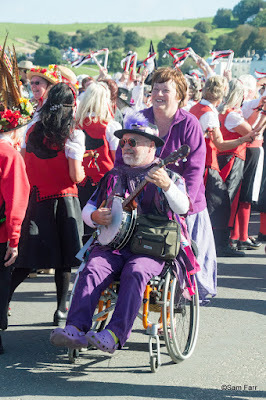 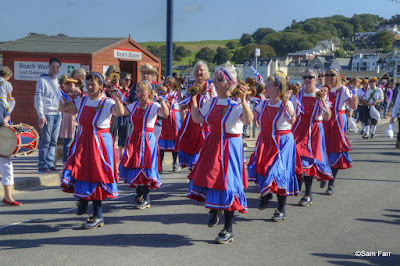 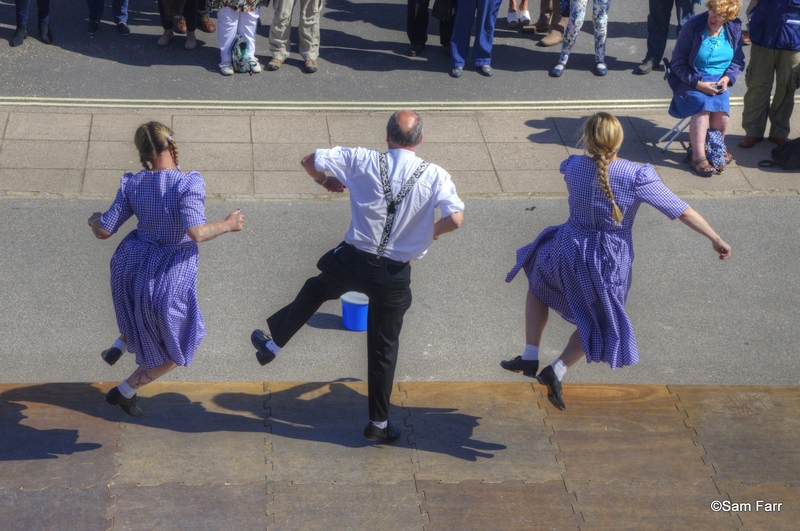 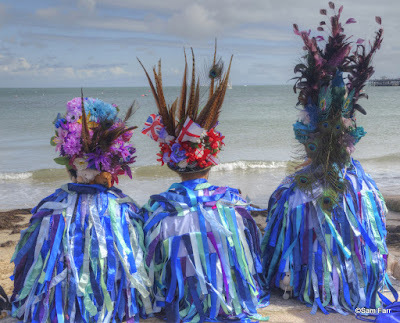 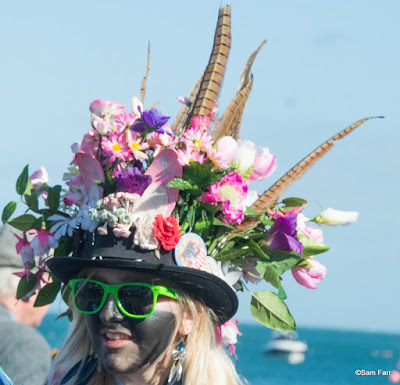 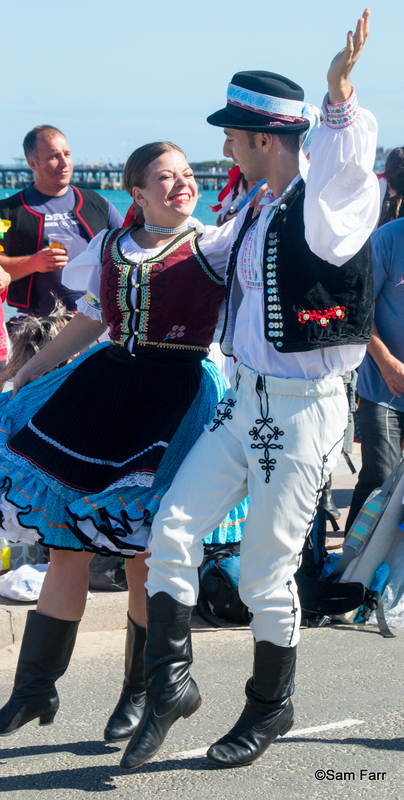 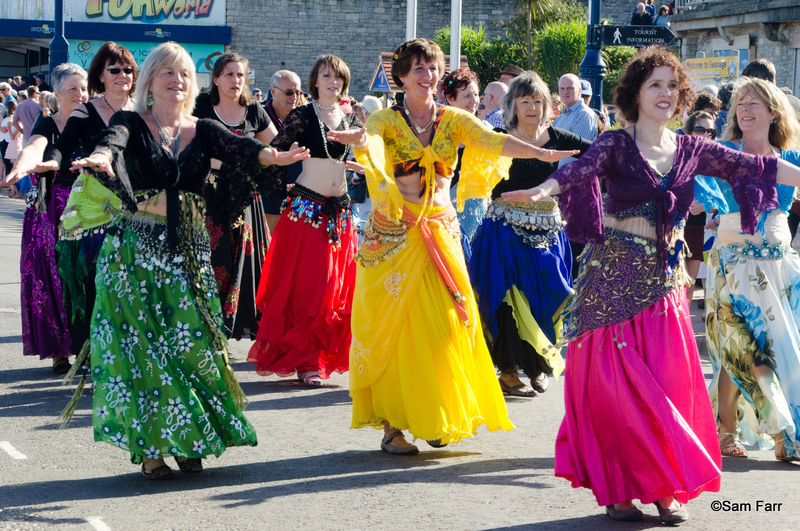 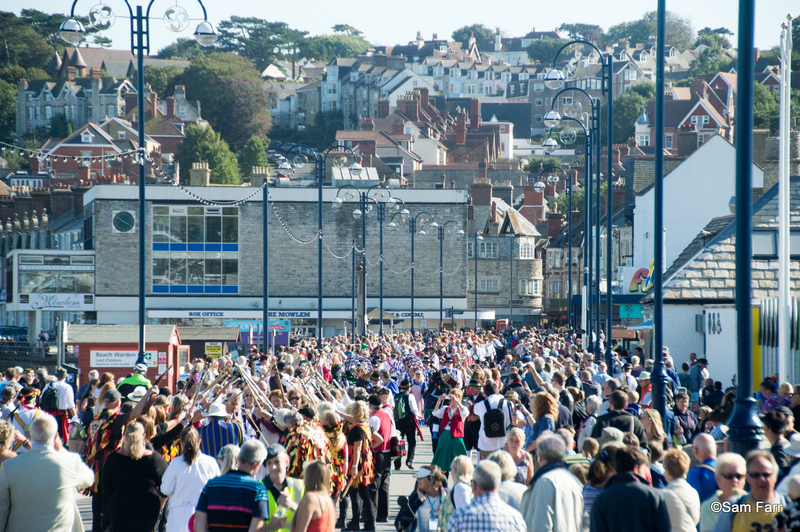 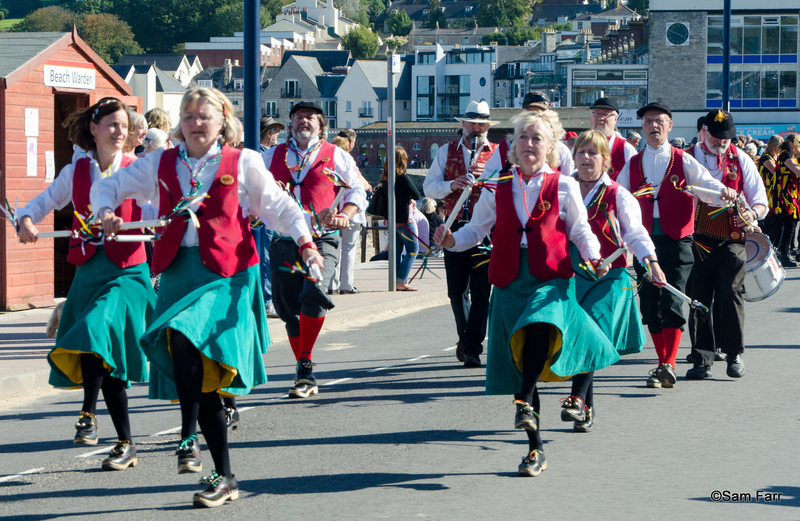 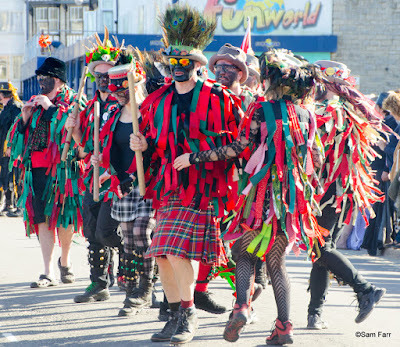 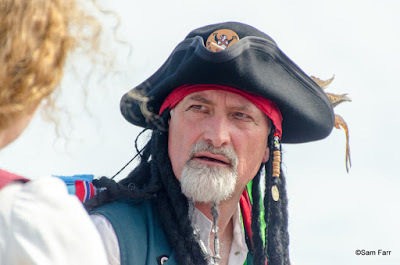 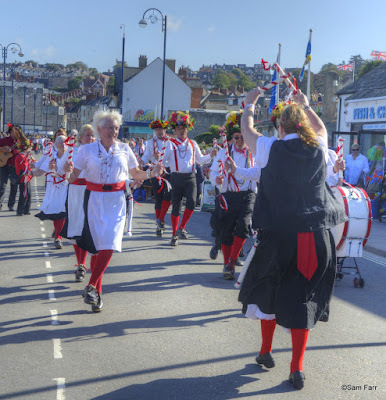 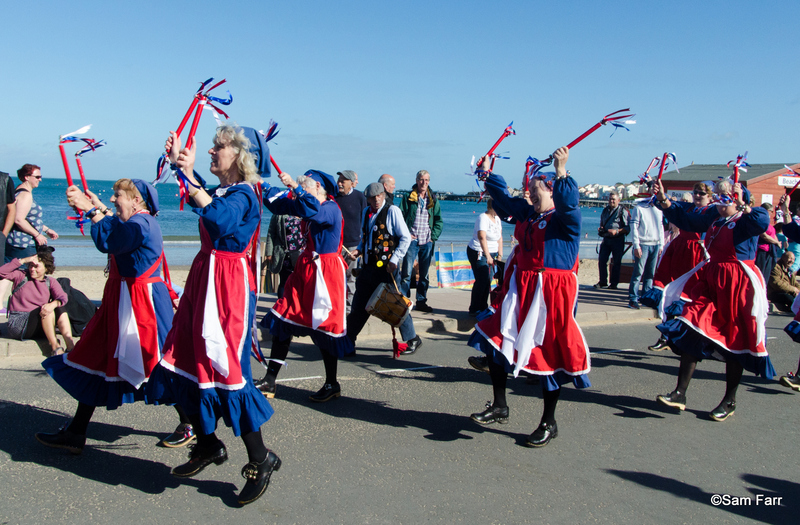 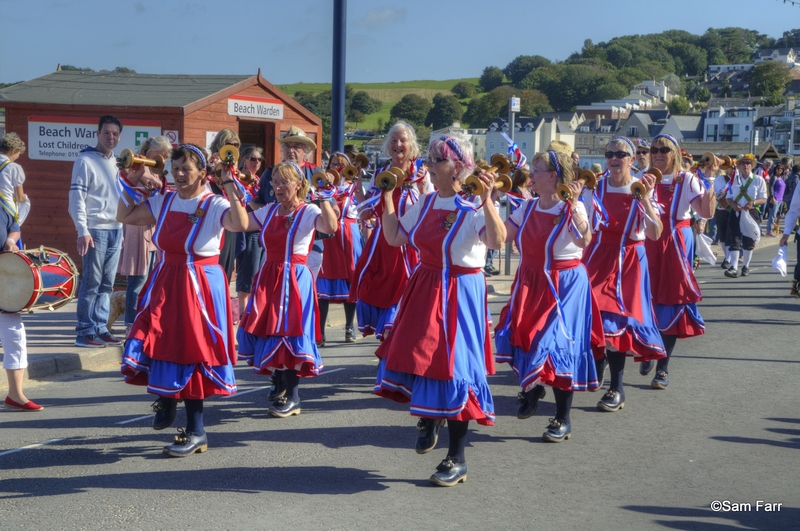 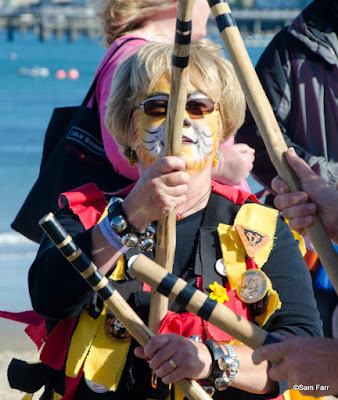 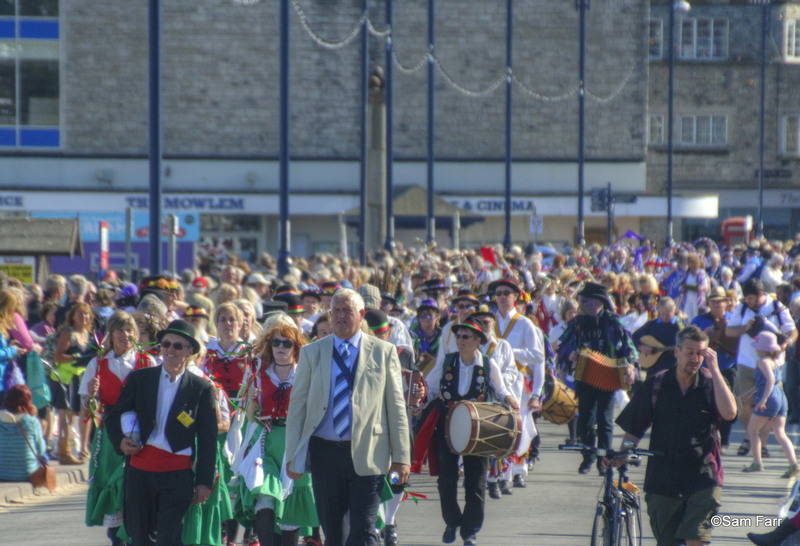 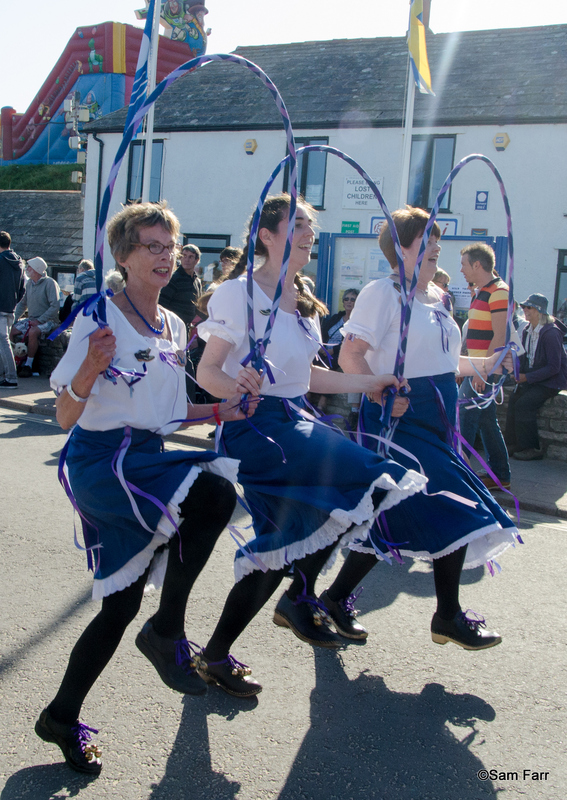 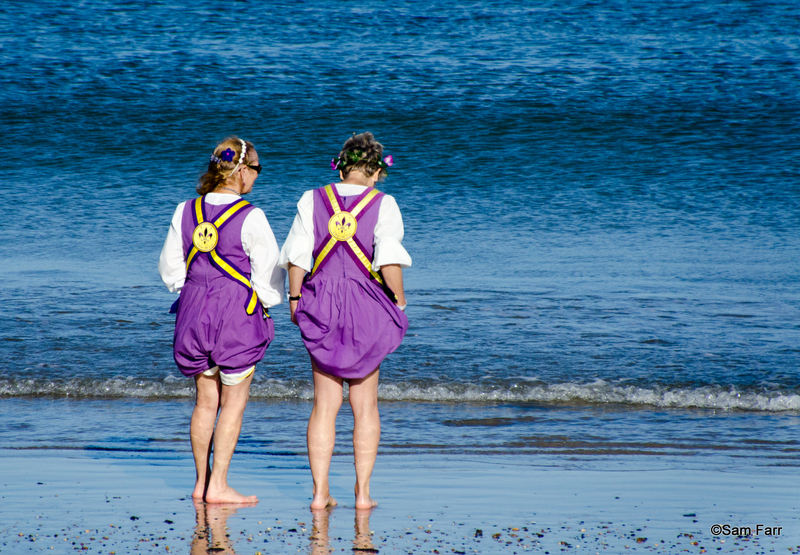 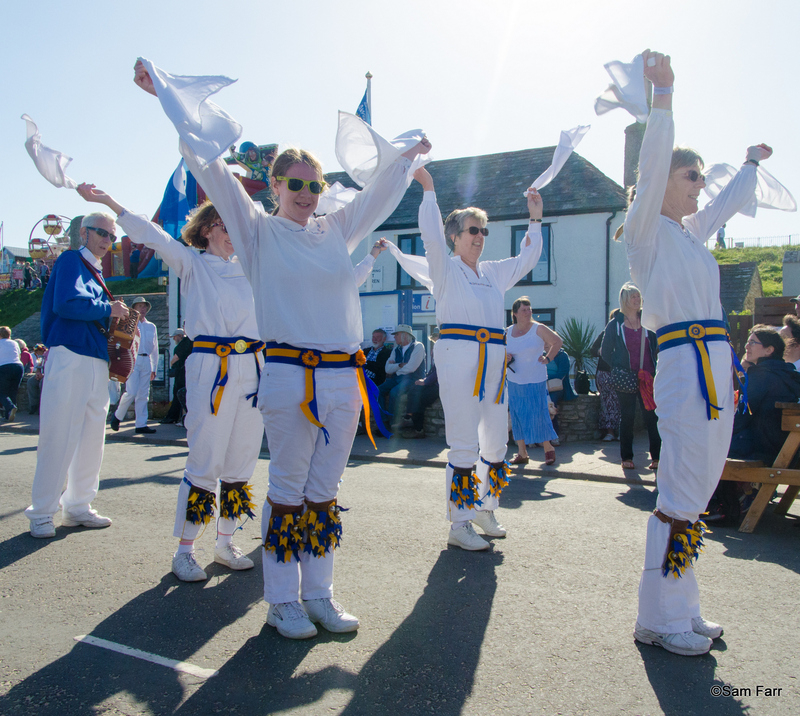 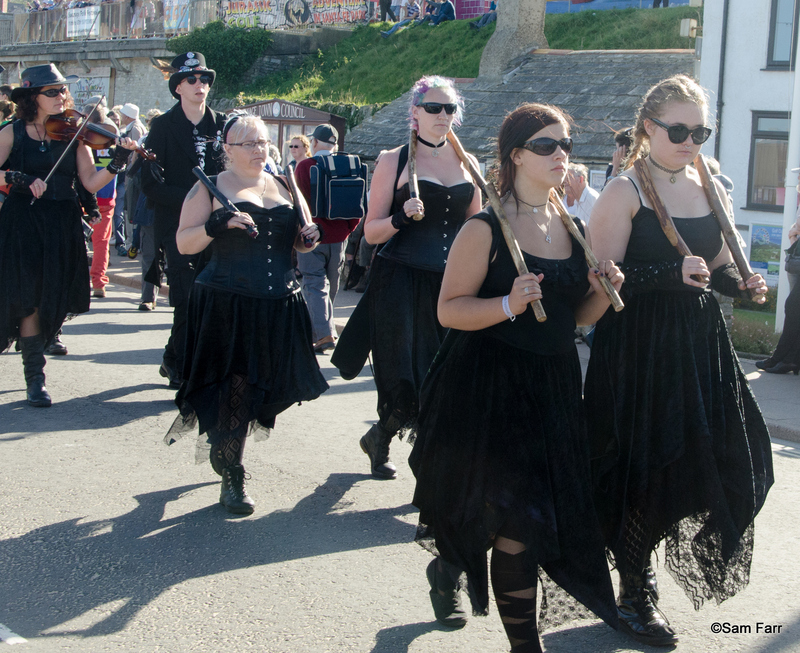 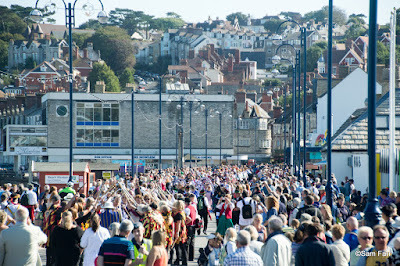 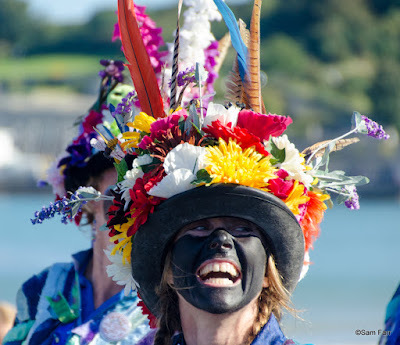 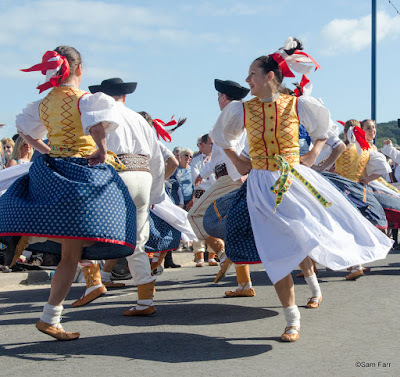 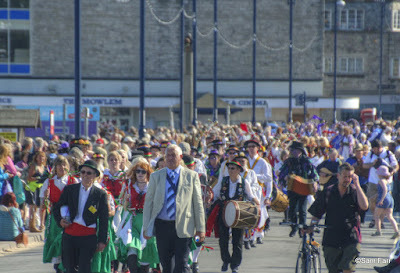 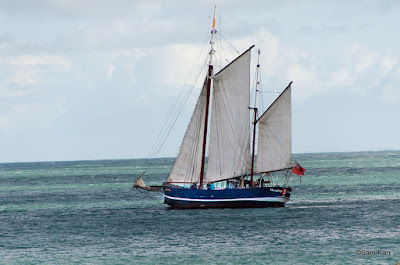 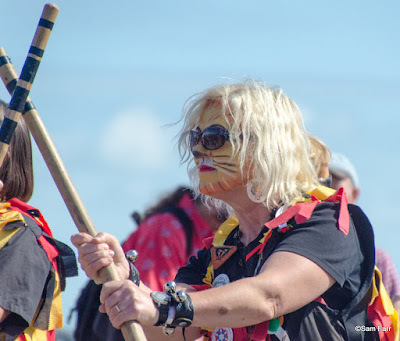 It was Folk Festival week for our visit to Swanage and there were more Morris Dancers than you could shake a stick at, well actually they spent more time shaking sticks at us. 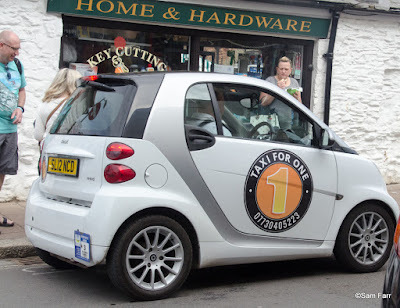 Why pay for two seats if you only need one! 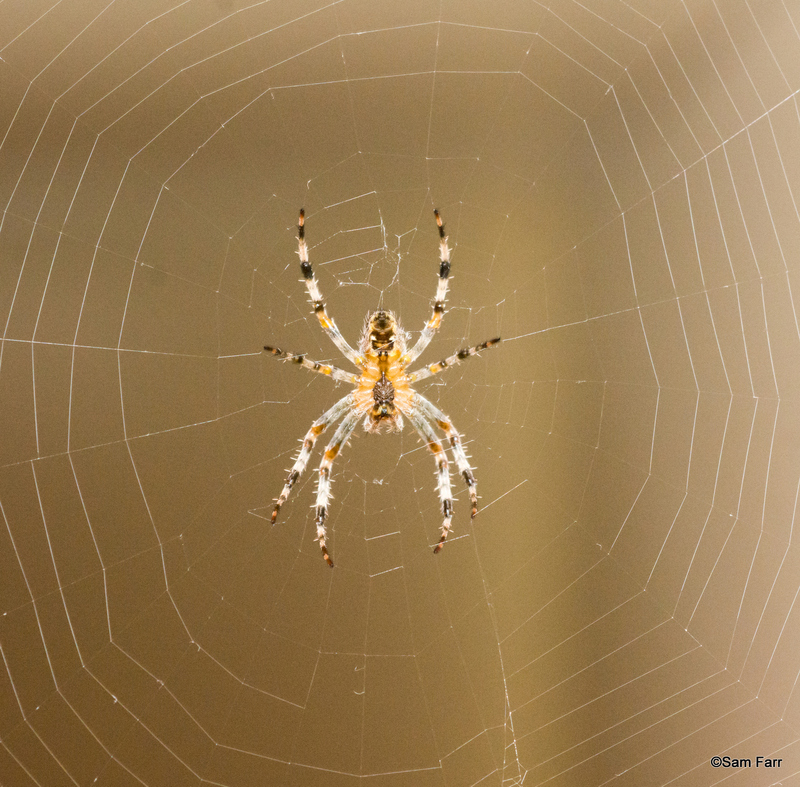 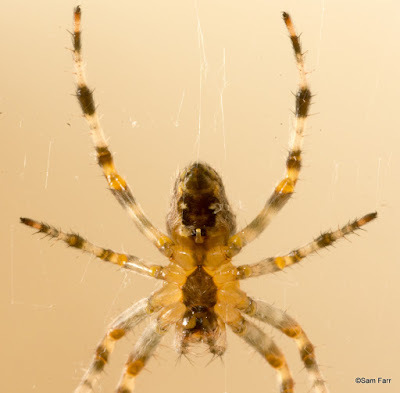 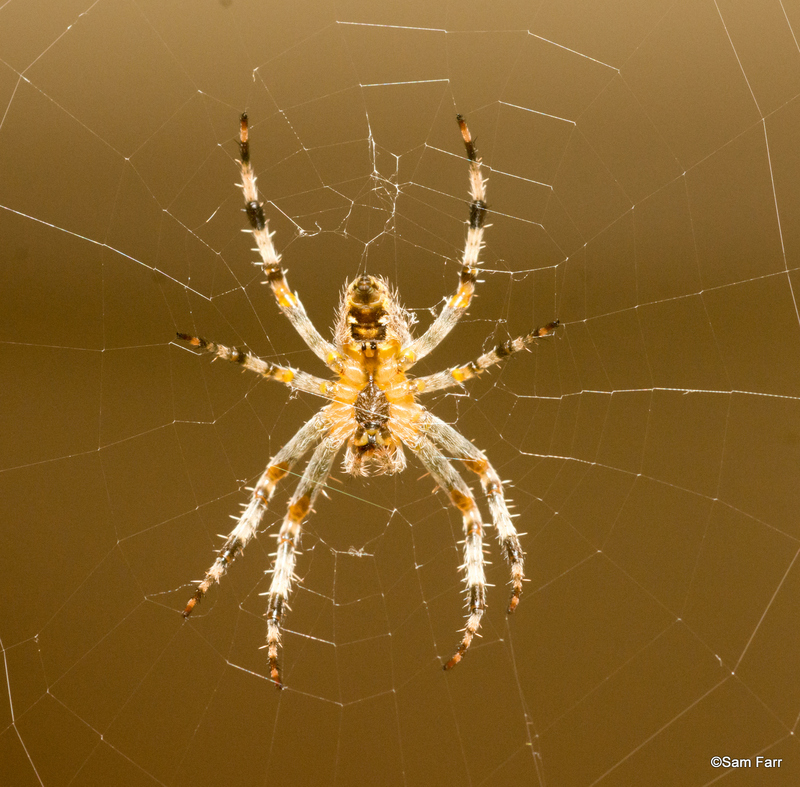 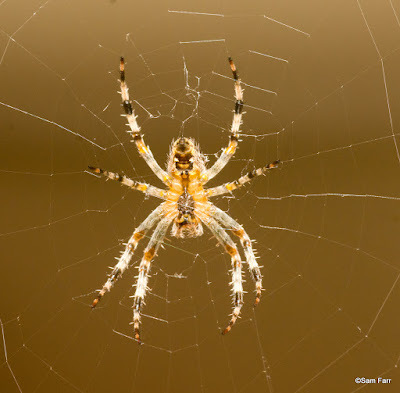 New friend on the book case, he's less than an inch across but had to go walkies in the garden before the Grand Children arrived. 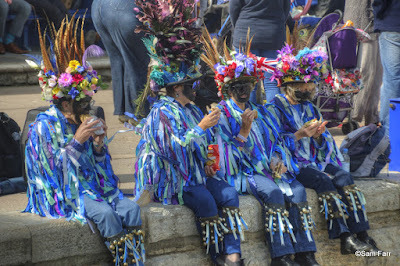 Dogs from our Devon Holiday. 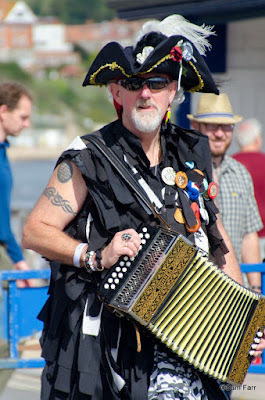 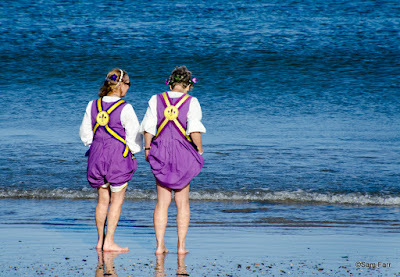 Ancient Parking Wardens in Dartmouth.